File Types: PSD,All Files; File Size: 975.55 MB; Requirements: Adobe CS1+; Layered: Yes; DPI: 150 DPI; Dimensions: 96 x 96 in. 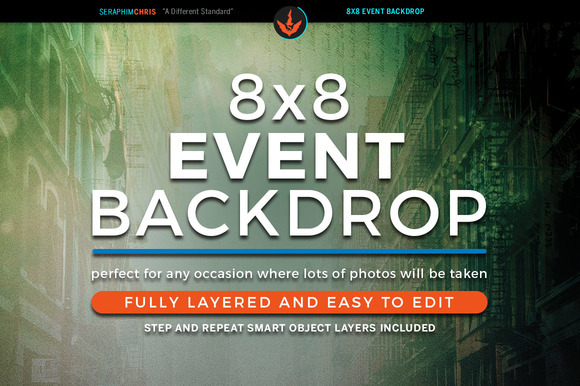 Looking for quality backdrop that can be used for multiple types of events? This one comes with a grungy urban theme, cool green color pallet. It's designed to draw attention with cinematic background. If you need a unique presentation, this popular size should be a perfect fit, even for those on a budget. - Color Options All layers in the files are arranged color coded and simple to edit. Keywords: african american, auction, backdrop, entertainment, fashion, celebration, hood, charity event, church, photography, modern, cinematic, lounge, recording artist, end times, grand opening, jazz, benefit awareness, listening party, ministry, bible prophecy, music, premier, red carpet, urban, dj, grungy, theater, trade show.